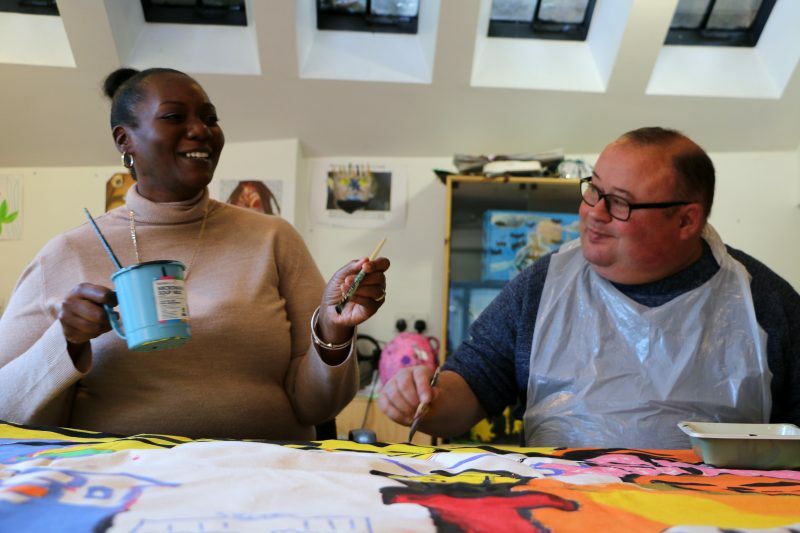 We hold all-ability creative arts workshops with local artists to enable people who live and work locally to meet each other and learn new skills. We have a weekly programme of classes. Contact us for more information. We have a programme of classes for adults with disabilities or for people who are socially isolated. We also hold classes for people over the age of 50. Costs vary and booking is required, contact us to find out more. Being creative is linked to improved health and wellbeing and offers a great way to get people together. Local artists were among the first to lend their skills and energy to grow the Bromley by Bow Centre and art still plays an important role at the centre. Our resident artists run all-ability workshops on stained glass, stone carving, ceramics, mosaic, textiles and more. We have a weekly programme of classes for adults with disabilities or for people who are socially isolated. To find out more about our specialist groups contact our Social Care team. We also hold regular exhibitions of our work. Have a look at the calendar for more info.